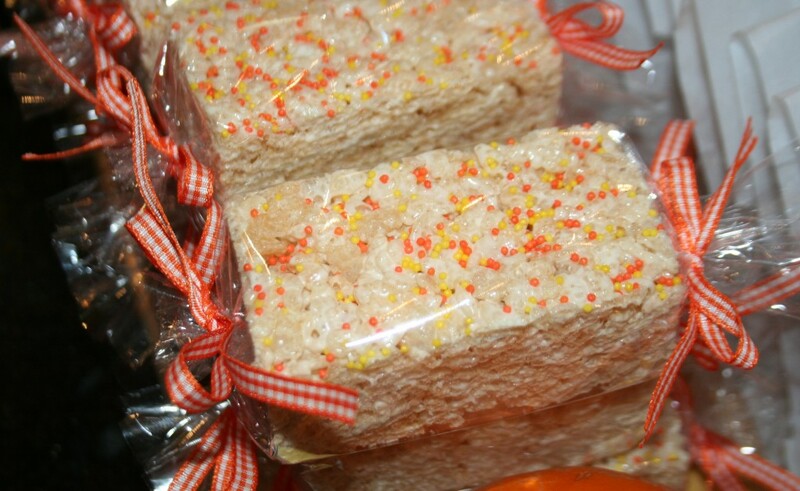 These are rice krispy treats ~ cut into long rectangles with srinkles and then wraped in cello and tied with a cute bow. 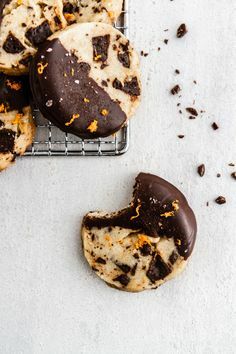 Chocolate Chip Cookies ~ wrapped in small wax bags then tied with the same bows. 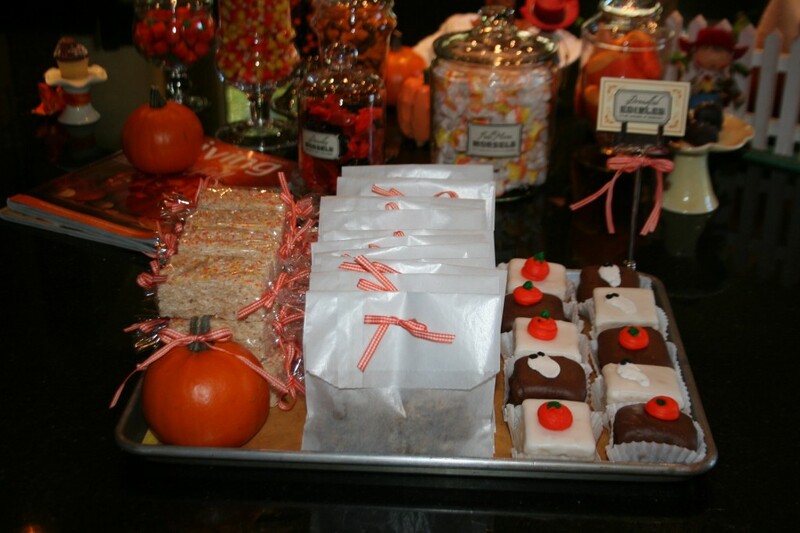 Then some small little petit fours ~ cake covered with the doughnut glazes or have your bakery make you some up.